What happened to Ford Trucks? How could such a long established player in the medium and heavy duty truck market let it a fizzle away only to be sold for the pennies on the dollars to Daimler Benz? Madness. But, at least the shareholders were made temporarily happy. That’s all the matters nowadays. Anyway, I first saw this truck hooked up to a Freightliner FLD 120 tractor (ironic) months and months ago. I made a mental note to return and take a photo but figured it would be long gone by the time I returned. I guess the towing business is slow this time of year as the truck was exactly where I remembered it. The light bar reads WD Henson CO Syracuse, NY. I wonder if this a custom local built body? Either way, this is great looking piece of vintage towing equipment. As we all know by now I spent plenty of time looking over the trucks that made it to the 2018 ATHS National Show in Lexington, KY. Well, at some point I wasn’t content with the offerings and began cruising the show grounds looking for more. 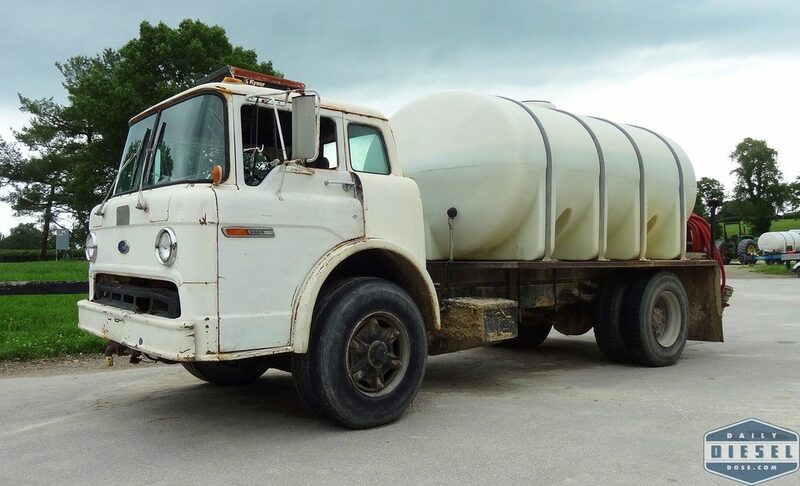 That’s when I came across this C series Ford water tanker. It’s hard to peg the year on this model as Ford made them for every but it’s giving me an late 60’s early 70’s vibe. Like it’s wrecker brother above it also comes equipped with a cab mounted Kysor air condition system. A comfortable driver is a safe, productive driver. 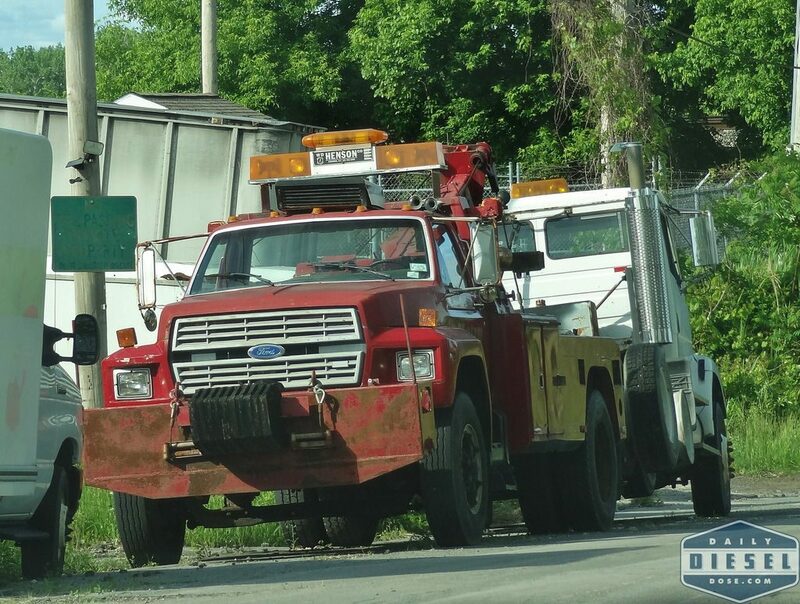 This entry was posted in Still Working and tagged ford c-series, wd henson wrecker. Bookmark the permalink. LEARN TO SPELL AND WRITE IN ENGLISH! Russian – do you speak it!? Sorry friend, I do not.